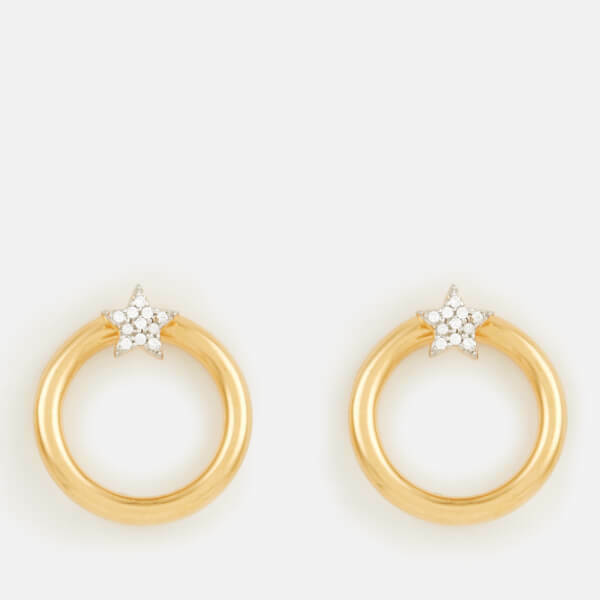 Women’s ‘Pave Star’ hoops from London based jewellery brand, Missoma. Crafted from 18ct gold vermeil, the mini earrings comprise a small, front facing star charm with an array of gemstones in a pave setting. The hoops are complete with a butterfly fastening and presented in a branded gift box. 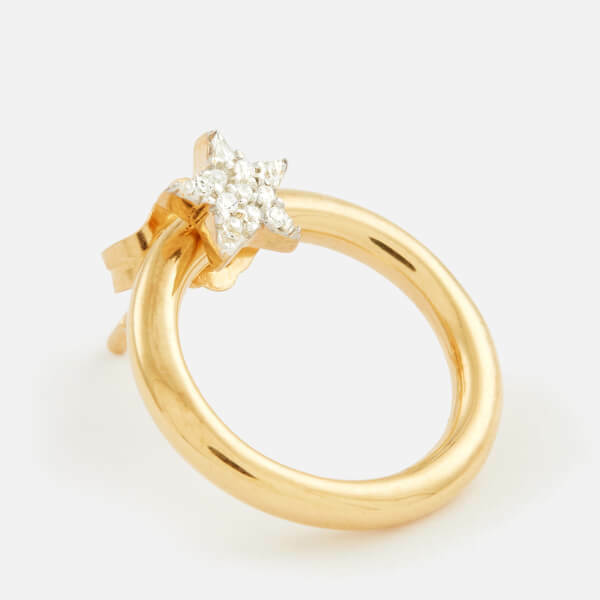 Dimensions: Pave Star: H: 13.5mm x W: 3mm. Hoop Diameter: 15mm.